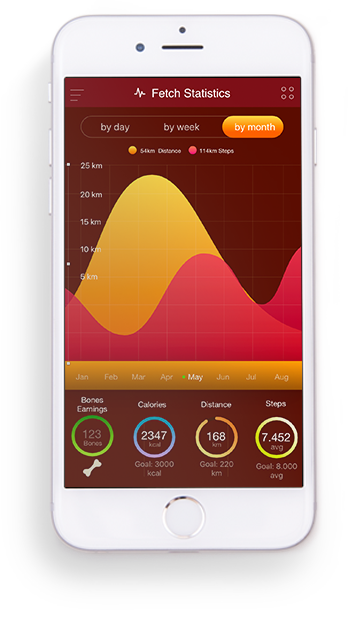 Track distance traveled, calories burned and sleep quality to gain more insight on your pet health. Save copies of all your pets medical records and vaccinations and access them at the touch of a button. 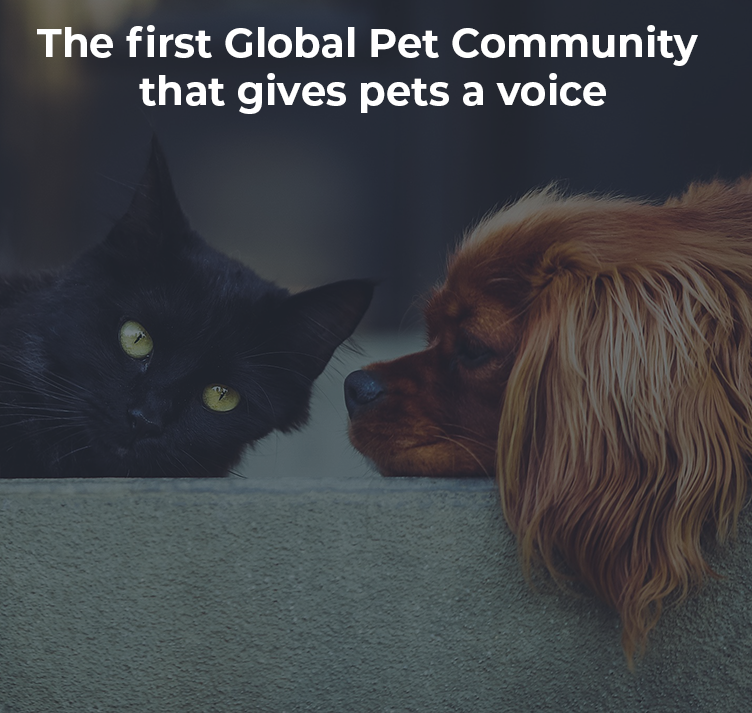 Share pictures with maps of you and your pet’s adventures. 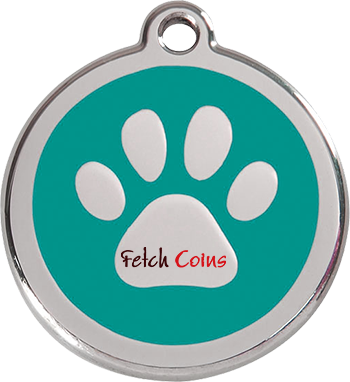 Earn rewards for being active with your pet and community. 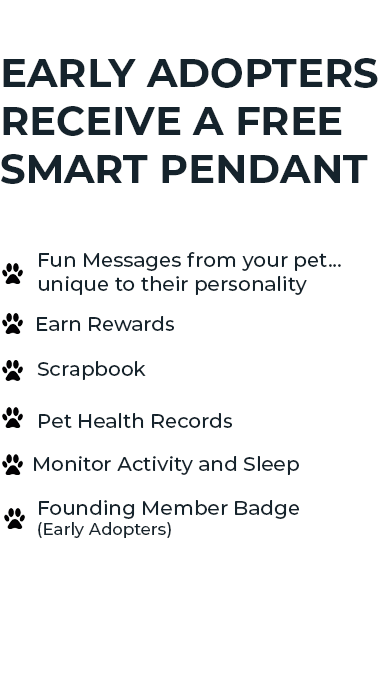 Rewards earned can be redeemed for pet products in the in-app marketplace. 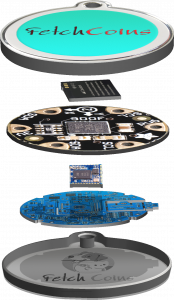 The smart pendant is embedded with sensors allowing your pet to tell you how it feels. Built strong for your pets adventures and play style. 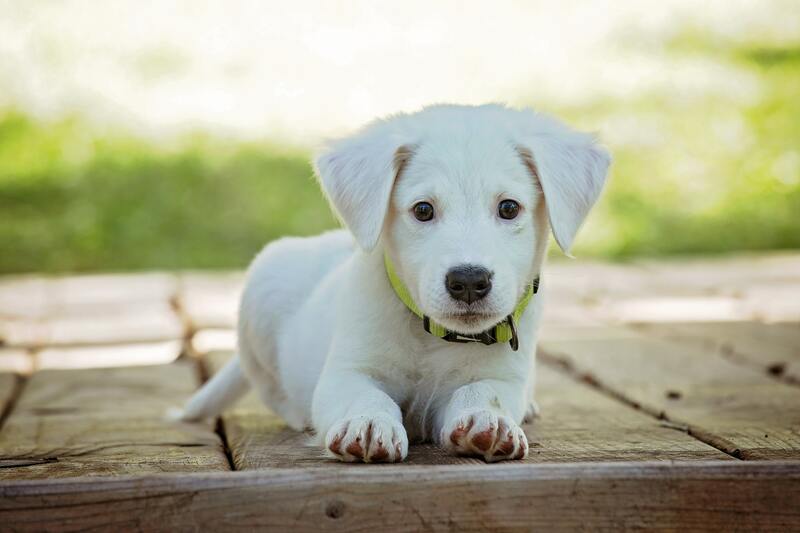 Earn rewards for keeping your dog active and healthy.